The Bishops of Malawi released a wide-ranging pastoral statement on the Year of Mercy last week. The bishops say that they wish to contextualize mercy as it relates to their country and speak words of hope to the people of Malawi. The statement, entitled “Mercy of God as a Path to Hope,” reaffirmed the sanctity of life in a country where, the bishops say, there is a decline in the respect for human life. It reflects on many difficulties in Malawi including hunger, lack of security, corruption, lack of service delivery, poor economic development and tribal divisions. It also addresses abortion and homosexuality. Malawian media have described the letter as a “reality check” for the President Peter Mutharika’s administration. The bishops then list areas of concern. In this section they chastise, heavily, the country’s president and government for what they call a “lack of visionary leadership.” They express their unhappiness with a broad range of issues and policies that, they say, hurt the majority poor. The statement also urges the people of Malawi to embrace transformative leadership that can change society. The statement also critiques “unrealistic macroeconomic growth indicators that do not reflect reality on the ground.” The bishops say that they are “deeply worried” about the bad performance of the country’s economy, charging that poverty in the country is a direct result of wrong economic choices made by those in power. They bemoan the economy of exclusion, contradictions and inconsistencies and low education standards. 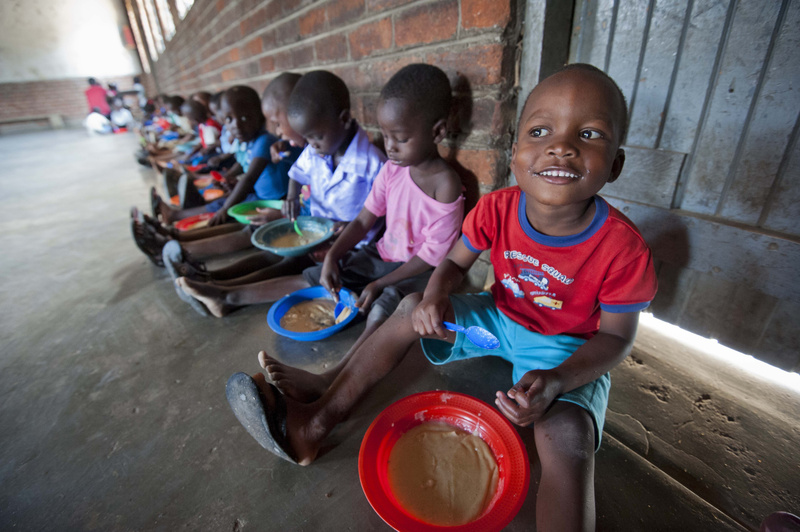 Some 2.8 million people face the prospects of hunger and food shortages in Malawi this year. The bishops express concern about the lack of maize in the country which the majority of Malawians depend on for their staple food. This year rains have been poor and this has resulted in great crop losses. Subsistence farmers who rely on the maize they cultivate are already experiencing serious difficulties in feeding themselves and their families. “We are deeply concerned about the shortage of maize in the country, the exorbitant prices of the same [staple food] at the parallel markets of vendors due to increased demand,” the bishops wrote. In the pastoral letter the bishops speak out strongly against a culture of death and specifically address abortion and homosexuality in Malawian society. They encourage respect for people who are homosexual and condemn violence against homosexual people in the “strongest terms,” but charge that the family and the institution of marriage between a man and woman is under direct attack by those campaigning for homosexual rights and unions. Surprisingly, in a pastoral letter contextualized within the Year of Mercy and in Catholic Social Teaching, the bishops criticize the government for declining to prosecute homosexual acts under law. The government placed a moratorium on the prosecution of people caught engaging in homosexual acts. The bishops charge that the government has given in to pressure from international bodies, donors and local human rights campaigners. Catholic leaders play an important role in Malawi, despite the fact that Catholics compose only about 20 percent of the population. The church played a key role in the country’s 1992 transition to democracy and have been described by some in Malawi as the conscience of their nation. Most of the pastoral letter calls attention to injustices—such as food security, corruption and developmental issues as a result of bad governance. It is also interesting to note that ecological issues—important to Pope Francis—are listed last despite the devastating effect that climate change has had on Malawi. Even more curious is that the bishops call for mercy in their letter. “The letter should be commended for the excellent things it says about social and political issues but, it seems, loses much credibility in the way that it addresses gay issues,” he added. It seems unfitting that in a country wracked by hunger and corruption the bishops chose to put, at the top of their list of priorities, homosexuality. It also seems to contradict the very spirit of the Year of Mercy.